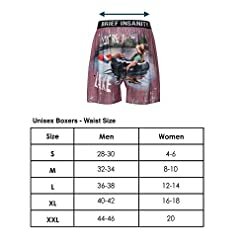 SIZE: Please see Size Chart in images. 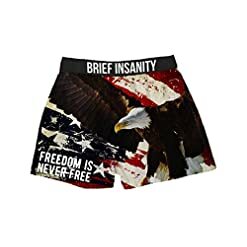 Brief Insanity Unisex Boxer Shorts are fun and show your personality! Soft Silky Underwear have your comfort first on it’s list of priorities. 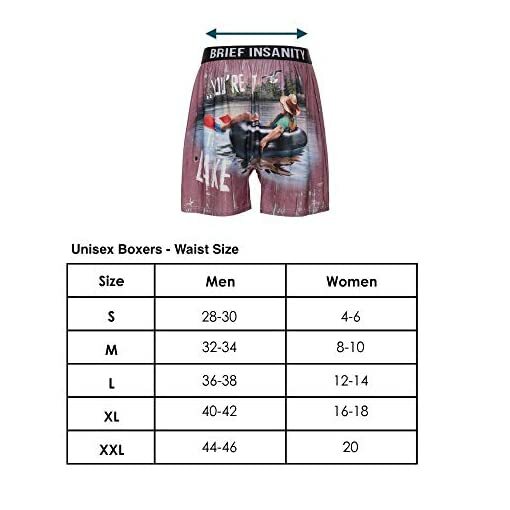 These lightweight boxer shorts have a silky feel both inside and out. 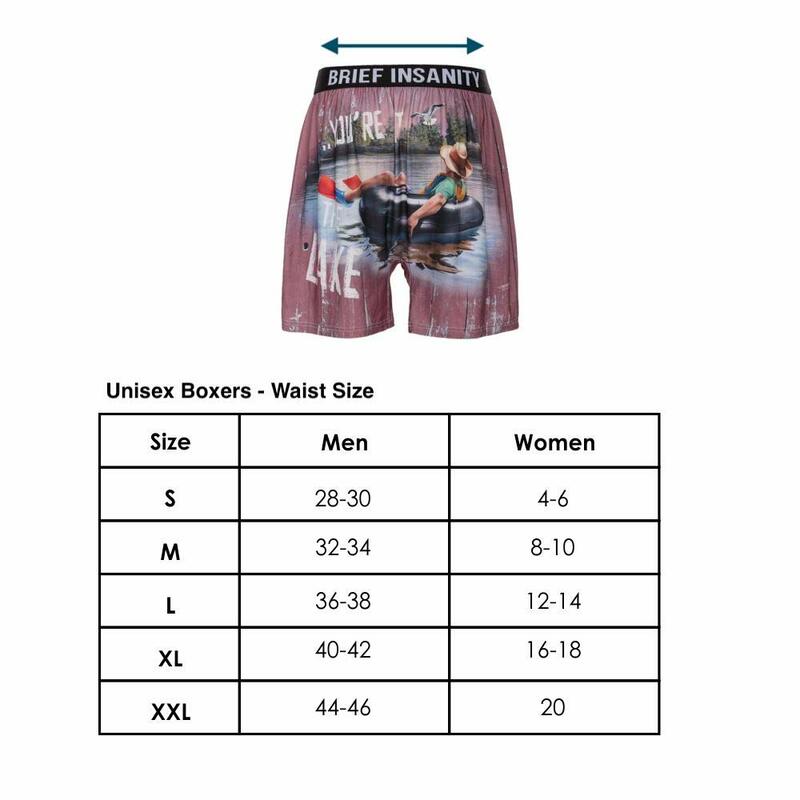 Made of innovative micro material, Cena synthetic Silk, the most comfortable boxers you will ever wear, feels like you’re going commando. This Soft Knit fabric has no pinching, no pulling and no restriction. 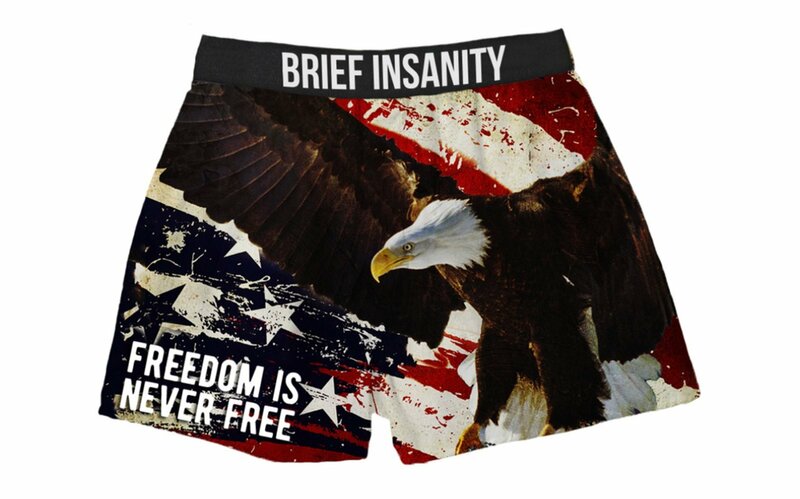 Can be worn as boxers or underwear. Great gift idea for Christmas, birthdays, anniversaries, father’s day, weddings, holidays, and other occasions.